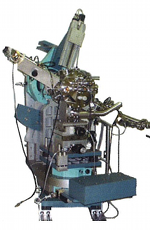 Thermo Riko UK | By Japan Vacuum Instruments Ltd.
By Japan Vacuum Instruments Ltd.
Quartz Guided Infrared Heater is successfully integrated into 4 axis manipulator for MBE application. 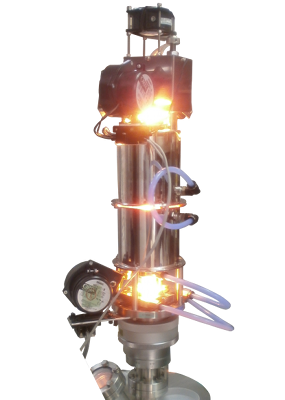 The integration was done by CreaTec in Germany for a requirement of rapid heating upto 1,000ºC, heating in gas environment (i.e. 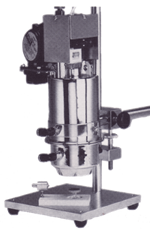 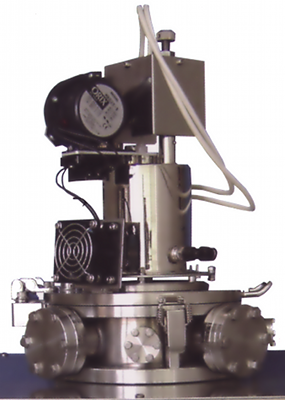 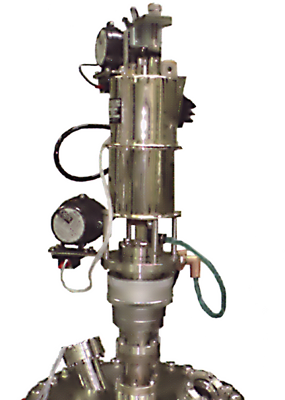 O2) and high precision manipulation (upto 4 axis) in UHV chamber. 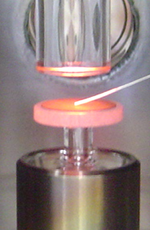 Thermo Riko's GA198 - 1kW Atmospheric Quartz guided Infrared heater was used to heat up catalyst particles in a 400μm diameter capillary at Diamond Light Source to image their structure during operating conditions. 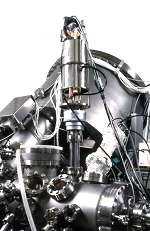 Direct measurement of the temperature was a challenge since an internal thermocouple would interfere with the X-ray signal, and may also influence the measuring of the catalytic activity.